Plants that are fed “little and often” generally do better than those that are fed once a fortnight. This is especially true when plants reach their reproductive stage – flowering and fruiting. This is when plants need a balance of nutrients and are normally fed with a general fertiliser such as Miracle Grow or a similar general feed. These feeds contain nitrogen, phosphorus and potassium (NPK) in more or less equal amounts, plus other nutrients and trace elements. Before feeding with a fertiliser, take into account the compost that your plants were potted into. There are already plenty of nutrients in new, multi-purpose and grow bag soil, so feeding is not really needed until the food runs out – usually around three weeks in a small pot and five or six weeks in a grow bag, large pot or container. This is when plants require tomato food and are fed on a weekly basis. Tomato fertiliser also contains greater amounts of phosphorus and potassium for flower and fruit growth. However, plants still require a small amount of a wide range of minerals, including nitrogen, in order to develop more trussses and top growth. Liquid Seaweed Extract is an excellent organic supplement and can be used as a foliar spray to encourage healthy and vigorous growth. 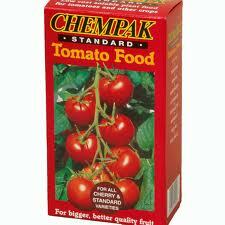 There are many different brands of tomato food available including Tomorite and Chempak Standard Tomato Food. They all do the job well, but it is important to follow the directions on the container/packet and not over-feed. Tomato plants do best when they are fed little and often. An issue when watering tomatoes around the stem base is that nutrients get washed away. One way to avoid this is to feed more regularly. We can give the same amount of feed by reducing the nutrient strength by half and feeding twice as often. This avoids longer periods between feeds. 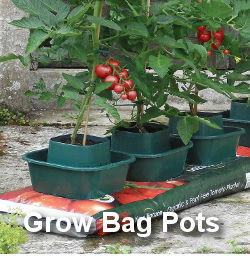 Another answer is to use grow pots when using grow bags. We water in the outer ring and feed in the inner ring around the stem base. Tomorite comes as a liquid to be diluted in water and Chempak Standard Tomato Food is a solid to be dissolved in water. Feed a general food before plants flower such as Miracle Grow – after the nutrients in the soil are used up. Feed tomato food after flowers set and small tomatoes appear. Any brand is suitable but follow directions on the container. If you wish to feed more often, reduce the nutrient strength by adding more water or less feed. For example, 50ml of food in 10 litres of water once a week is the same as … 25ml of food in 10 litres of water fed twice a week. The best way to feed tomatoes is little and often! Feeding too much is a natural desire for the keen tomato grower. 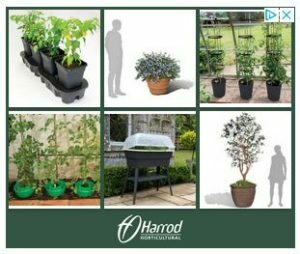 However, it may be killing your plants with kindness because too high a concentration of nutrients in the soil can create a chemical brew that may damage roots, stress plants and reduce the amount of tomatoes a plant will produce. In hot conditions, when plants are drinking a lot, it is definitely best to feed little and often and reduce the nutrient strength. Plants absorb water at a lower rate when nutrient levels are high. When it’s hot they need water at a higher rate! When temperatures are very low, plants are unable to access nutrients. It doesn’t matter how much food there may be in the soil. Nutrient absorption can only take place when temperatures are at least 10C. Also, soil microbes such as friendly fungi and bacteria that help roots feed, will be low in number if temperatures are too low. For roots to be able to access all the nutrients they require, pH needs to be within the acceptible range for growing tomatoes. pH (the measure of alkaline/acidity of the soil or growing medium) should be within a range which is around pH 6.8 in soil – slightly acidic.